Jens-Martin Schwärzler, Executive VP Beauty Care (third from right) and Olfa Aouida, Head of R&D MEA, Beauty Care (sixth from left) during the ribbon cutting. “At Henkel Beauty Care we are constantly working on perfecting our products and services to accommodate to the specific needs of our customers and consumers across the world. 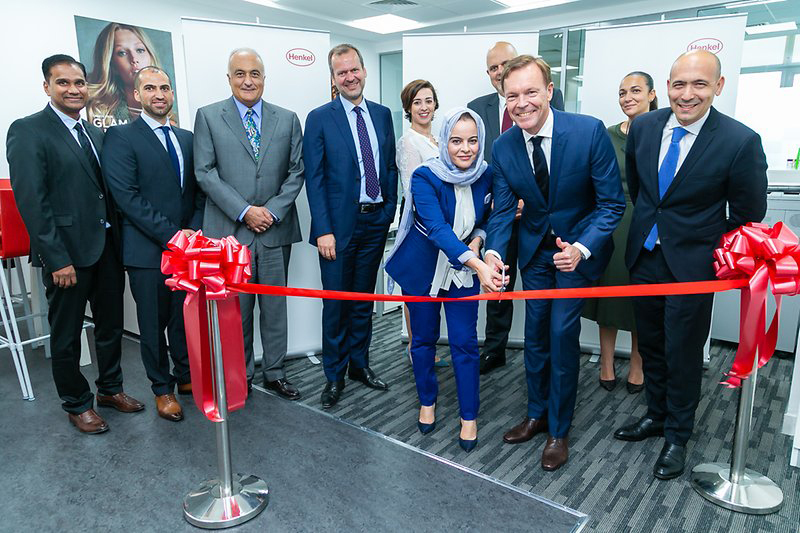 The opening of our first Beauty Care laboratory in the Middle East will further strengthen our expertise and capabilities to cater to the important growth markets in this region,” explained Jens-Martin Schwarzler, Executive Vice President Beauty Care, during the inaugural event.